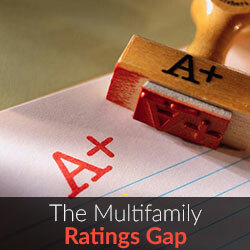 Reviews have been a hot topic in the Multifamily industry for the past several years. Understandably so, as countless studies have demonstrated their meaningful impact on consumer decisions. And many companies in the industry have sprouted with the aim of becoming the “TripAdvisor of apartments” or the “Yelp of apartments.” They’re noble missions but the multifamily industry has other review gaps to fill. Let’s take a step back and compare how reviews look in other industries. With hotels, TripAdvisor immediately comes to mind but before TA there was the AAA Guide Book and even today there are rating agencies which determine the hotel quality. TA is valuable in sharing guests’ experiences but when –as a user- you see a Hampton Inn rated above a Ritz Carlton, we all understand that Hampton Inn might be overachieving on the value and experience but the Ritz is almost certainly the better hotel. Similarly with restaurants, Yelp has become a notable hub but Zagat remains a valuable indicator of which restaurants are truly the best. The hole in the wall tacqueria that gets 5 stars may provide excellent value and an authentic experience, but most people probably wouldn’t consider it to be better than say, The French Laundry. This balance between user reviews and expert ratings exists in other verticals. Amazon has helpful consumer reviews and Consumer Reports provides objective and consistent product comparisons. Fandango can show you movie goer sentiment and movie critics rate the quality of the film. I could go on. In Multifamily, we’ve seen many, many companies take runs at being the review site that captures residents’ experience. ApartmentRatings (AR) is really the only site in today’s landscape that has achieved at present anything comparable to TripAdvisor; even Yelp has succeeded in getting only a fraction of the reviews that AR has. It has its well-documented shortcomings by allowing anonymous reviews and in turn tends to have a negative slant. But it is clearly the leader in quantity of content, which is to be applauded. But the other side of ratings – the ones that measure the quality of the property and not just the experience has been lacking in the industry. There are a few reasons why this gap exists, but probably the biggest is it’s costly to create and none of the existing industry service providers are in a position to rate property quality. There is a conflict if an ILS is selling to a property and then also directly rating its quality. A third party rating agency is necessary. RentLingo was founded to fill this rating gap. It uses local experts, such as former Property Managers, to mystery shop and rate each property against a common rubric to create consistent and objective ratings. This is more analogous to Zagat whereas AparmentRatings.com is more like TripAdvisor. Interestingly, hotels have historically spent a good deal on branding. You instantly know a Ritz Carlton is nicer than a Westin, which is nicer than a Hampton Inn which is nicer than a Motel 6. The same can’t really be said in multifamily. 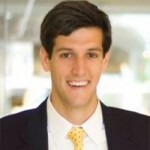 Even amongst the REITs, which collectively manage a much smaller share of the market than the large hotel chains, they tend to have variance across their portfolio. There’s nothing wrong with that, but it makes the value to consumers of having a quick indicator of property value all the more important and time saving. We’re seeing properties integrate our reviews onto their own property website because it allows them for a first time to signal a third party stamp of approval. Perhaps not surprisingly, we’ve seen that integrating our reviews have improved lead conversion rate by as much as 30% and reduced site bounce rate dramatically as well. Some may wonder if the industry needs yet another review site. When it comes to user-generated, experience-based (i.e. anecdotal) reviews, I think the answer is a resounding “No!” But the wonderful thing about the web-based ecosystem is the ease with which choice and options can proliferate. So adding professional, curated reviews is something I believe is valuable. In fact, prospects and residents will likely find it valuable to see BOTH user-generated AND professionally curated reviews as that combination provides deeper and richer content and context.